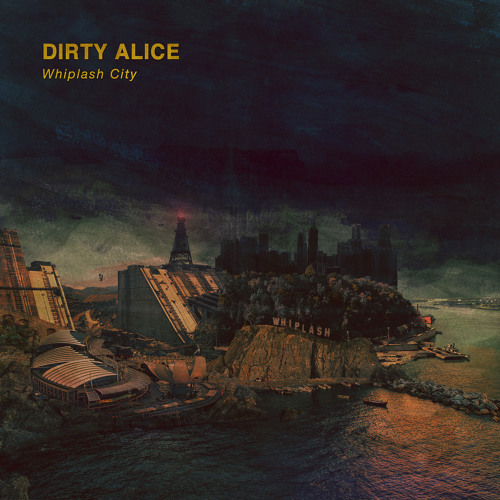 A thick sheen of grime coats the buildings in Whiplash City, as if it had been shaken in a snow globe filled with ash and oil. Some will come and some will go, they say, but those who leave are never the same and those who stay will never leave. A paradox of human waste lives in the endless tenements and tower blocks, wandering the streets, a thick and choking sediment, while the occasional pebble breaks through the muck, catching the moonlight and shining bright, like the foam on the crest of wave as it surges from the sea. These pebbles, some with smooth edges and swirling colours, others with jagged teeth and cast in the single colour of coal, coax the best and worst from each other. They are resigned to their ultimate fate as another corpse on the potholed streets of Whiplash City, but continue fighting, always furious, snapping their teeth and howling at the moon, like a wild dog with the scent of blood racing towards the most ancient part of his brain. In Whiplash City strange youths cling to each other and writhe in the sticky aisles of a film theatre, a butcher plies his trade as the weathered hides of Whiplash City’s finest throb to the beat of his drum, animals fall in and out of a love they don’t understand, a solitary sea captain toils on his life’s work and Nikolai, a man far from the dim lights of his home, yearns to return to the city he knows so well, where the streets are paved with bones. All hands bury the dead.